Welcome to iDreamBuy.com, iDreamBuy is a professional dresses manufacture. where we've got a wide range of quality affordable for any occasion! 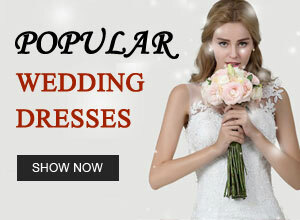 Browse our large selection of designer wedding dresses to find beach wedding dresses, short wedding dresses, lace wedding dresses, chiffon wedding dresses, mermaid wedding dresses, ball gown wedding dresses, a line wedding dresses, wedding dresses with sleeves and many other styles. Whether your style is simple, vintage, classic, elegant or romantic, you're sure to find your dream wedding dress here! iDreamBuy also has cheap bridesmaid dresses and plus size bridesmaid dresses, cheap wedding party dresses, prom dresses, long evening dresses and discount mother foraml wear. 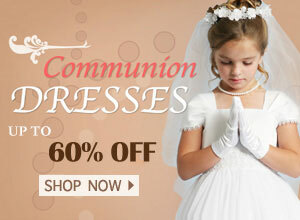 we didn't forget about flower girl dresses; we've also got flower girl's wear like gloves, tiaras, veils and more! Choose the style, size and color that's just right for you and we'll tailor your wedding dress, bridesmaid dress, flower girls dresses, first communion dresses or prom party dress to fit you perfectly! shop our collections now!